Silent Valley-Alchauna is an inspiring, beautiful setting where author’s creative juices flow more easily. You can take long walks to think through your writing and can choose to work in suitable spaces provided both inside and outside of rooms. 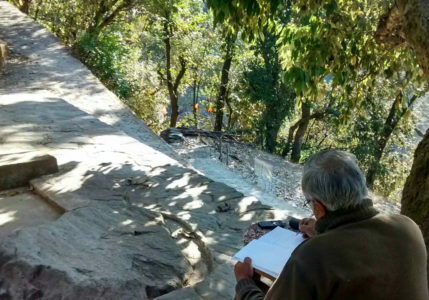 At Silent Valley-Alchauna, we provide peaceful place and natural beauty where you can find inspiration, write, edit, tweak and polish your book for days on end, undisturbed by life’s demands and distractions. This is the place where inspiration greets you at every corner and through every window? Where a strong cup of coffee can fully cure your fatigue and a brisk afternoon walk can completely clear your head? Come, stay and let your creativity flourish….